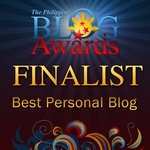 MICAMYX » Personal Blog of a Dagupena Dreamer » Archive » 80’s Boy Band BROS: Will the former pop stars be famous… again? 80’s Boy Band BROS: Will the former pop stars be famous… again? It’s time for me to feature a boy band that won the hearts of young girls worldwide in the late 80’s. I would like to reintroduce – BROS. I rediscovered Bros through a documentary about British pop. 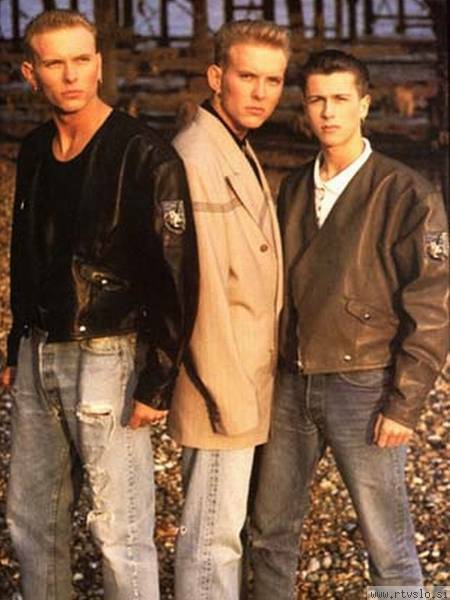 The original Bros line-up includes Matt Goss (lead vocals), Luke Goss (drums) and Craig Logan (bass). Matt and Luke are identical twins and Craig is their high school friend. I remember stumbling to their music video for ‘When Will I Be Famous?’ as a kid (again, thanks to MTV Classics!). I even thought the lead singer is a woman (try to watch the music video :P). The Bros mania is considered short, but phenomenal in the 80’s. Young girls loved them and mothers consider them as ideal sons. ‘I Owe You Nothing’ is the first music video by Bros in 1987 (my birth year!). The single didn’t really reach the top of the charts, but the second single ‘When Will I Be Famous?’ made them really famous. We all know that 80’s fashion is unique in its own way and the boys merged as trendsetters during their time – describe look here. Their fans tagged themselves as ‘Brosettes’. The songs of Bros have something to do with the feelings of the youth. The fact that the boys are good-looking and reachable is a plus point too. 100 pogi points, ika nga. The Goss Brothers loved being famous – it even reached to the point wherein they’d buy anything they want in just a snap. The fact that they’re twins means whatever Matt gets, Luke must also have. We cannot blame them – young, rich and famous. Who wouldn’t be blinded with the fame they had? In 1989, Craig Logan left the band because he realized that he didn’t want all the media attention and if I’m not mistaken, he had deeper personal reasons. The twins pushed through with their world tour commitments. The loyal fans didn’t let the inner ‘Brosettes’ in them fade. The financial downfall started when Craig Logan sued the twins and the management for unpaid royalties amounting one million British pounds. He filed 6 lawsuits and won them all. 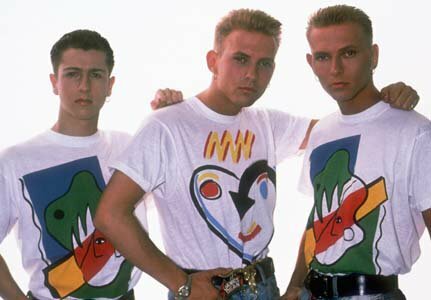 Just like that, Matt and Luke Goss declared bankruptcy in 1992. The British media even dragged them down by writing ridiculous articles about them. 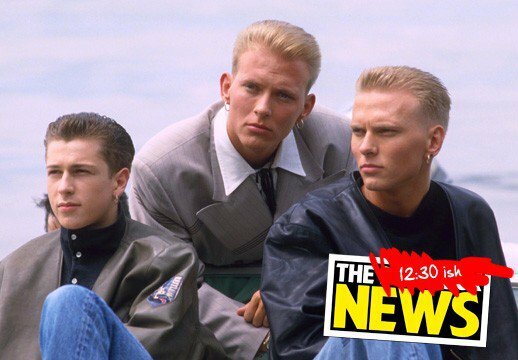 In 1993, Luke Goss released the book ‘I Owe You Nothing’, where he fully revealed what really happened to the band. He tried his luck with a new band and married his longtime girlfriend. Later on, he transfered from being a pop star to a character actor. Matt Goss struggled to launch a solo singing career. He had minimal hits and the British media won’t let him move on. That left him with no choice but to move to another country and hope to start anew. For Craig Logan, the Bros experience taught him a lot especially in the business aspect of the music industry. At age 20, he penned songs for a former girlfriend Kim Appleby and even took over her management. 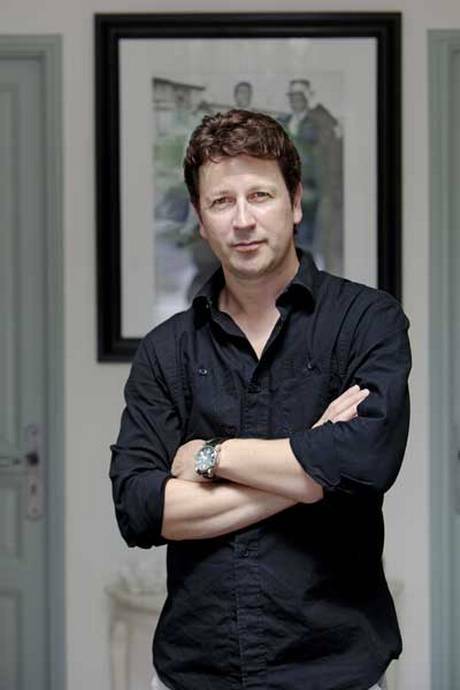 In less than six years, he is already the International Marketing Manager of EMI. SO… WHERE ARE THE BROS BOYS NOW? 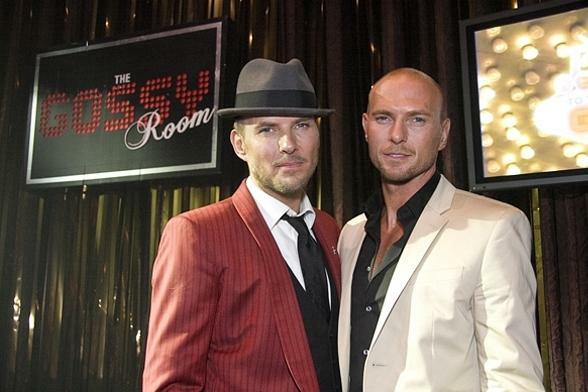 Matt Goss released a book in 2005 entitled ‘Matt Goes: More Than You Know’, where he revealed his side of the story regarding Bros and post-fame. He also wrote a children’s book and released some good songs. You’d probably see a flashing billboard with his angelic face and name on it when you’re strolling around Vegas. For years now, he’s been headlining Caesar’s Palace and serenades the fans three times a week. His shows are always full and his performances got positive reviews. A few years ago, he returned to London to perform at the Royal Albert Hall, which made a lot of Brosettes happy. New album coming soon yey! 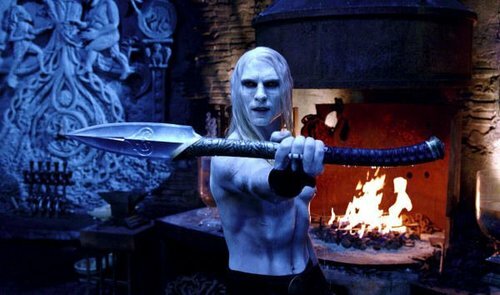 Do you recognize Jared Nomak from Blade II and Prince Nuada from Hell Boy II? Well, the actor playing those villain roles is no other than Luke Goss. The former Bros drummer is now using some deadly weapons as instruments to entertain the fans. It’s fun to watch his interviews where he discusses some of his projects as an actor. He just starred in the movie ‘Interview With a Hitman’ and in the new TV series ‘Red Widow’. Honestly, Luke is my favorite member. There’s something in him that I really admire. I am hoping he’ll do a James Bond movie in the future. Look at him – he deserves more remarkable lead roles! The reluctant pop star Craig Logan became ‘one of the best artist managers in the world’. Some of the artists he worked with under his EMI reign include Pal McCartney, Gareth Brooks and Tina Turner. He later on moved to Sony and headed the RCA label. He is now the CEO of Logan Media Entertainment. He also mentioned that he never really wanted to be famous. 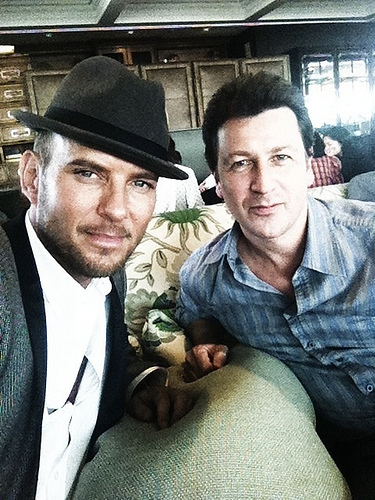 Matt Goss and Craig Logan’s reunion after more than a decade. Time heals all wounds. Craig Logan attended in one of Matt Goss’ show in Vegas. Twin brother Luke would watch whenever his busy schedule permits him to. There were rumors that the trio will reunite in 2008, but then one of the revealed that ‘their time had passed’. I’m sure the Bros fans would love to watch them perform again even for just one night. So what happened to Bros two decades after? One is tagged as the ‘British Frank Sinatra’ because of his remarkable shows in Las Vegas, the cute drummer is now a favorite villain in Hollywood and ‘the other one’ is now one of the most respected music moguls in the music industry. A Vegas headliner, a Hollywood favorite and a music-industry mogul. So did the Bros boys became famous again? Definitely. Even better as individuals!